Why being a small hotel doesn't mean you cannot be popular! Why being a small hotel doesn’t mean you cannot be popular! In the current scenario, being “big” in terms of popularity has very little to do with your property’s size. Even the smallest of tastefully put together hotels can easily outrun huge chain hotels that refuse to stay relevant to the present day’s needs. There was a time when grandeur and opulence were the only dictators of popularity, but that’s passé now! While there is no magic formula that would work for every property, there are a few lessons that could apply to hotels at large. If you try to please everyone, you’ll end up pleasing no one. Cliched but true. You need to create a niche for yourself which will act as your biggest promoter. Often, hotels go for the safest way out by sticking to the templates. Think about it. How many hotels have you been to, that stick to the same old pastel color palette, plain white linen, yellow lighting all around, with staff wearing almost identical uniforms! It’s all way too predictable. Break out of that trend and build something unique. Take a cue or two from ‘German Village Guest House’ in Columbus, Ohio. It is a AAA Three-Diamond Hotel which has been awarded the TripAdvisor Ranking #1 of B&Bs/Inns in Columbus, along with an impressive rating of 5.0 on the review site consistently. If you were to go through the reviews on TripAdvisor, you will find at least a handful of them that talk about how they loved the ‘personality’ of the hotel. It is a quaint and lovely guest house in a historic neighborhood, but with some ultra-modern amenities. They have managed to bridge the gap between old world charm and contemporary minimalism. But that isn’t all. They have put together every other aspect of guest experience with utmost care and sensitivity and that acts as the anchor. This is the kind of niche that we are talking about! The thing about authenticity is that you either have it or you don’t. You can’t make someone believe that you are authentic, unless you really are! And much like simplicity, it is one of the easiest things with which you can win people over. So, whether you are a 2-room family run homestay or a 15-room B&B, staying true to your hotel’s values and culture will fetch you quite a few brownie points from your guests! After all, in this world of imposed smiles, being genuine will make you the talk of the town. And being authentic is not restricted to just the guest-facing departments. Right from the décor, the design, the cuisine that you serve at the resto, the way you greet your guests, to over all service, there needs to be consistent authenticity across all aspects of your hotel. And one of the easiest ways to go about accomplishing this is if you imbibe your local culture and put real effort into bringing it alive. Here’s an example of how a hotel in Marrakech called Riad le Clos des Arts has floored travelers from around the world by staying true to its Moresque theme. Go through their TripAdvisor page and you are sure to stumble upon multiple guest reviews that recount in great detail their amazing experience at this Moroccan wonderland. The point to be noted here is that Marrakech is an extremely touristy city with hundreds of accommodation options. By that logic, being a successful hotel in such a busy area is truly a challenge unless you put your best foot forward every single day, with every guest you host. 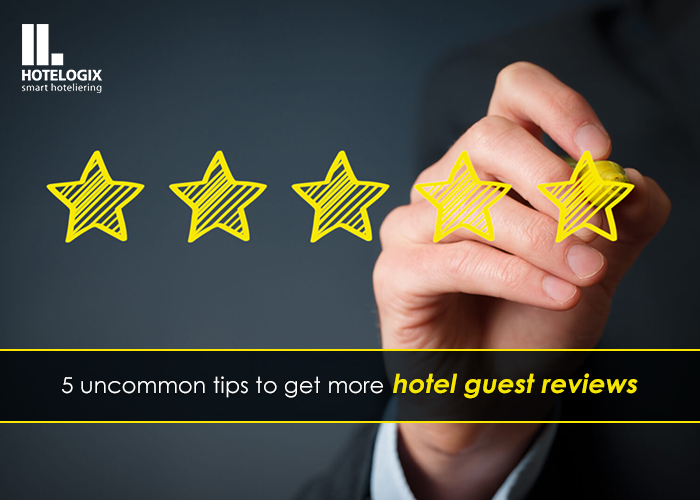 Only an authentic guest-centric culture will beget you that kind of reviews and loyalty. There sure is a ton to learn from this hotel’s strategy to being popular despite being an independent hotel in a super competitive market like Marrakech. A great chunk of leisure travelers, today, travel to explore the different cultures of the world. They would much rather prefer a native experience than shaking hands with the same comforts they are used to back home. Think about local seating, think about locally sourced materials, design elements, focal points in the décor, etc. As much as we hear the phrase ‘global village’, the current generation of travelers are also all for celebrating diversity. Give them something that they will not find elsewhere in the world! A great example of how a hotel embraced its native roots and went on to becoming one of the most sought-after hotels in the region is Umasari Rice Terrace Villas. This Indonesian hotel is a popular destination in Tabanan and is even rated 8.4 under the two-person trip category! What is so great about this property? You’ll find out. Umasari Rice Terrace Villa is located amidst a paddy field with an abundance of coconut trees all around the property. This makes for a perfect getaway for any urban traveler who seeks to break away from the hullabaloo of the city life. With the tiled-roof rooms making for a perfect rustic setting, the place offers its guests everything they look forward to in an other-worldly hotel experience. Apart from some undeniable peace and quiet, guests can even look forward to yoga lessons at this three-star accommodation. They also host some local Balinese cultural activities, immerse themselves in the Balinese ways of life by trying their hand at farming. With guests generously using phrases like “heaven on earth”, “definitely worth visiting”, etc. on their TripAdvisor page,it only proves further that even a small hotel can be a super popular one! Responsible tourism and eco-tourism are really catching on with more and more tourists opting for them instead of conventional hotels. Whether you brand yourself as a eco-friendly hotel or not, the fact that you stand up for a bigger cause speaks volumes to the modern day traveler. Simple yet significant steps like rainwater harvesting, tapping into solar energy, zero-waste kitchens, etc. can take you a long way in redefining your sustainability. We’ve identified two properties who have in their own way shown the rest of the world how you can be a popular hotel even if you don’t subscribe to mainstream definitions of comfort and relaxation. Hotel Heranya in Nepal is one such property that has taken to building their hotel business around sustainability and eco-friendliness. From solar water heating systems to low power consuming electrical appliances at the property, they have carefully designed their hotel to abide by strict codes of sustainability. This family-run hotel also has rainwater harvesting solutions being implemented during monsoons apart from a very efficient filter system to purify the valley’s water. This is a huge step in the right direction and many travelers who prefer guilt-free travels opt for future-friendly accommodations like Hotel Heranya. We’ll let their TripAdvisor page speak for itself! Saving the best for the last, we have for you one of Costa Rica’s most popular properties- Bosque Del Cabo Rainforest Lodge. Set amidst 750+ acres of a forest reserve, this hotel gives you an experience that one could only imagine. Widely called as “a naturalist’s dream”, this property is nestled in the unspoiled jungles of the tip of the Osa peninsula. The hiking trails at the property take you through the jungles to the pristine and isolated beaches on the Golfo Dulce as well as on the Pacific ocean. Prepare to frequently sight toucans, great curassows, macaws, spider monkeys, coatis, hummingbirds, flycatchers, capuchin monkeys and so many more species of birds and animals! But that’s not all, you can also go ziplining through the rainforest, hike up to a waterfall, relax by the pool with their famous frozen margarita or just soak up the tropical sun at one of their 10 luxurious bungalows! What sets this property apart from any other nature-rich property is the fact that they work towards conservation and not against. Their kitchen in entirely solar-powered and their rooms are free from TVs and phones. They also encourage a communal dinner each night where guests can interact with each other instead of isolating themselves in their nests. After all, before the advent of technology, this is how humans kept themselves entertained, right! Truth be told, their TripAdvisor page has some of the longest, most heartfelt reviews we have ever seen, and that itself is a huge success for this one-of-a-kind hotel! If the story of these hotels has you inspired to revisit your own popularity, get in touch with us. Hotelogix supports thousands of small but popular properties the world over. "Why being a small hotel doesn't mean you cannot be popular! ", 5 out of 5 based on 1 ratings.